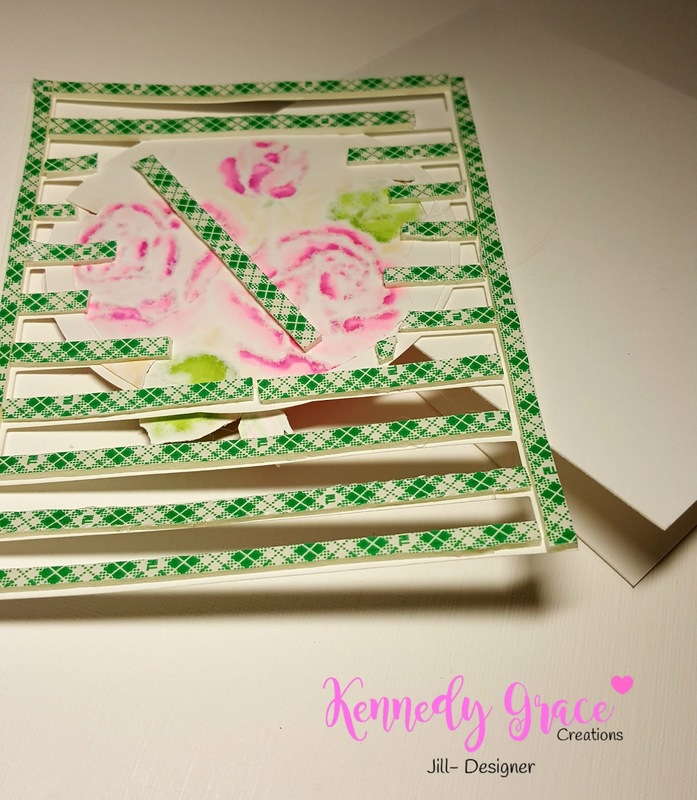 Welcoming you back to my blog with a card I made for Kennedy Grace Creations February Mood Board. This month's board is gorgeous, with some of my favorite colors (see below). My card, of course inspired by it, uses the stamp sets Splendid Roses for the main image and Beautiful Blooms - Sweet Rose for the sentiment. I used 2 KGCs sequin mixes on my card, Cotton Candy and Enchanted Evening. This month, as soon as I saw the mood board I knew what I wanted to do. 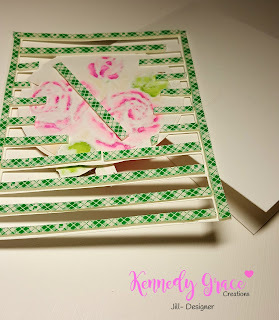 I recently received the Splendid Roses stamp set from Kennedy Grace Creations, and was itching to use it. I also recently bought an Avery Elle cover die called Horizontal Stripes. It has a lovely circle cut out in the middle of the stripes (perfect for my roses!). The two in my mind were meant to be together. 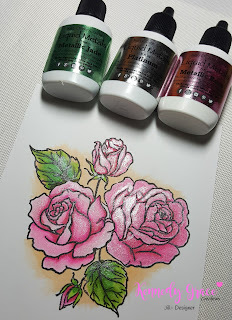 I first stamped the roses image onto a NSW 80# cardstock (superior for blending Copics) with Hero Arts Intense Black Ink. I colored the images with my Copics (colors listed below) then lightly colored YR20 around the center background area, blending it softly out from the middle. Wanting a bit of sheen to my flowers, I decided to use a product fairly new to me, Ken Oliver Crafts Liquid Metal. It comes out dropper style, so I used a paint brush and applied Metallic Rose to the roses and Metallic Jade to the leaves. These did intensify the colors a bit and I wanted even more sheen, so after drying, I applied the Platinum color to the roses only. This is pure sheen and beautiful! With my cover die cut in hand (NSW 110# cardstock) I wanted my roses to spill over the sides of the die cut circle a bit, so I lightly traced a circle larger than the cover die circle around my image and decided which areas were going to go beyond the circle. 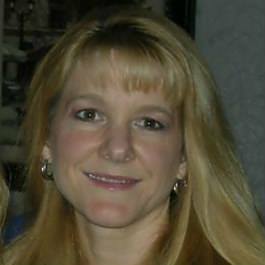 Those areas I fussy cut out. Next I placed some liquid adhesive on the back side of the cover die's circle to adhere my roses in the proper place. Once adequately dry, I flipped the entire piece over and applied lots of 3M Scotch foam adhesive tape so that the cover die had some dimension and sturdiness over my white cardstock base. 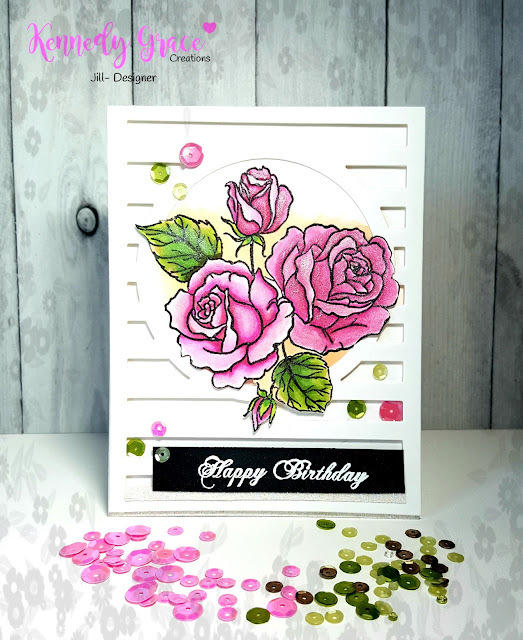 Once adhered to the cardbase, I white heat-embossed the Happy Birthday sentiment from Beautiful Blooms- Sweet Rose using WOW! Super Fine, Opaque Bright White Embossing Powder on some black cardstock and cut it to size. 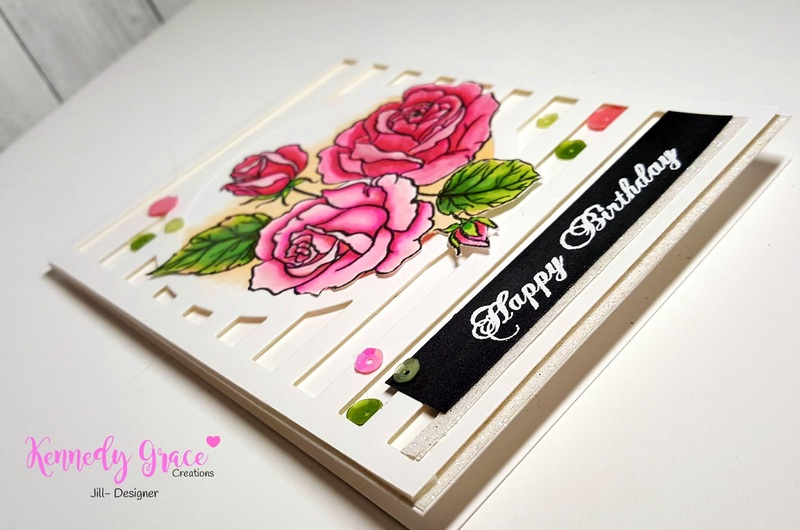 Wanting some sparkle on the card, I cut 2 strips of white prism glitter paper from my stash and placed one under the black sentiment banner and one along the bottom edge of my top folding card. Lastly, I used some gorgeous sequins from Kennedy Grace Creations in pink and green tones from the Cotton Candy mix and the Enchanted Evening mix. 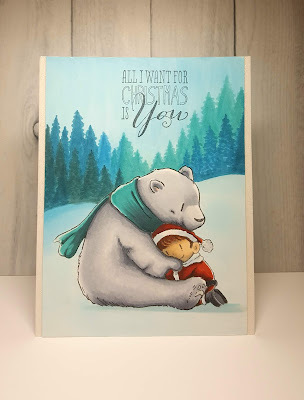 I really enjoyed making this card, and I hope you enjoyed it too! I hope it inspires you in your next floral card adventure. 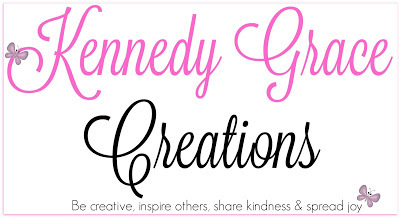 **I've linked all Kennedy Grace Creations products in the body of the blog to the store for your convenience. If you like my card and want to see more, please visit me on Instagram for the most comprehensive collection of my cards and projects (jktaylor911). 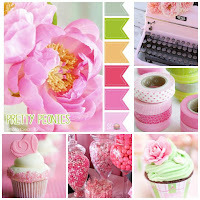 Kennedy Grace Creations Products: Splendid Rose and Beautiful Blooms- Sweet Rose stamps, Sequin Mixes Cotton Candy and Enchanted Evening.